Do you have problems keeping your books organized? 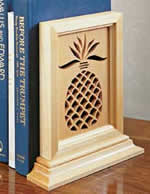 You can make your own bookends, for yourself or as a gift with these free bookend plans. 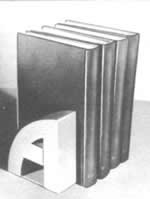 Selection of manufactured bookends . Few instructions and only one drawing to build this pair of book end plans. Excellent drawings for the scroll work, but limited information and drawings for building these scroll sawn bookend plans.